For more than 60 years, Lafarge Malaysia has played an integral role in the construction projects for home owners, large enterprises and the complex infrastructure projects across the country. We have contributed towards iconic landmarks across Malaysia such as the Petronas Twin Towers, KL Tower, the SMART Tunnel, the Penang Bridge and KLIA 2. 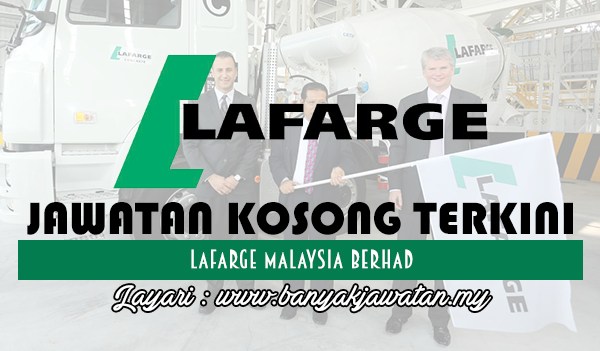 0 Response to "Jawatan Kosong di Lafarge Malaysia Berhad - 10 September 2017"